Different browsers now have different flows. Google just announced new updates for its 2-step verification tool for G Suite users. The company claims that for some mobile and desktop users this will come as an update, for others will come as a brand new feature, “available for some devices”. According to company blog posts, the update impacts the tool on three fronts. 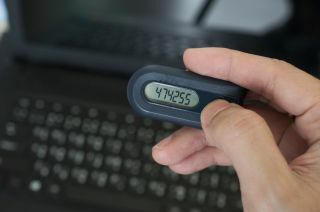 First, Google has redesigned the 2FA interface, then it made it fit better with different browsers such as Safari or Edge, and finally, expanded Bluetooth security key support. Google added new illustrations, text and instructions when using a Bluetooth or USB security key. As of now on, Chrome, Safari, Firefox, Edge and other browsers will have ‘different flows’. Finally, Bluetooth keys will start rolling out, and can be enabled with a flag on Linux. It added that both admins and end users should feel the change, and said it hopes this makes 2FA easier to use. “2-Step Verification puts an extra barrier between your business and cybercriminals who want to access business data,” the company said in the blog post. To get started, end users don’t need to change anything. Admins, on the other hand, should visit the Help Centre to find out how to set up the new 2-Step Verification for their organisations.